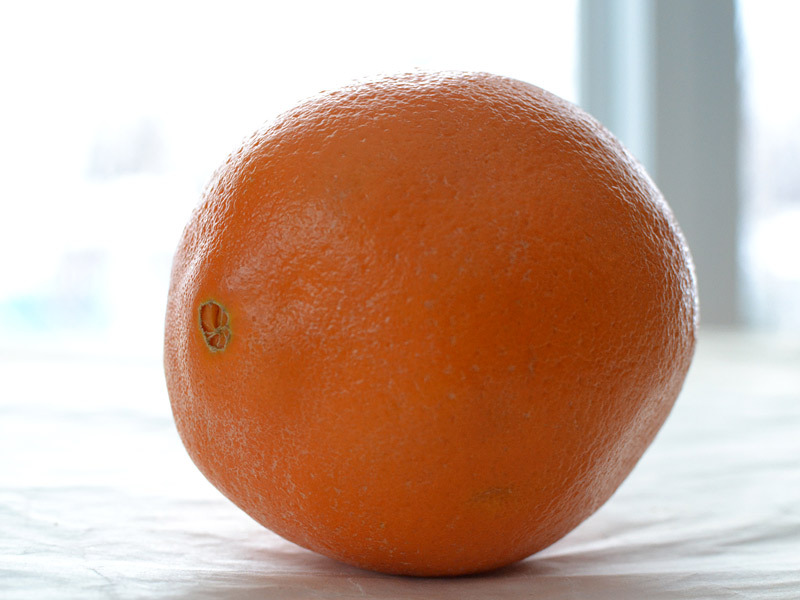 Along with their tangy tastiness and their health-food goodness, oranges - especially navel oranges with their umbilical bump - have a lovely textured peel, smooth and pebbly, which is oh-so-attractive in how it catches the light. I placed this orange at my window and exposed for the dark side of the sphere, resulting in blown highlights, yes, and also a fantastic rim lighting that sets off the texture around all sides of the fruit. Glad I don't have to try to paint that! But wow incredible.